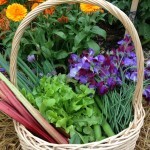 sweet peas, broad beans, chives, lettuce, snow peas, rhubarb, parsley and spring onions. 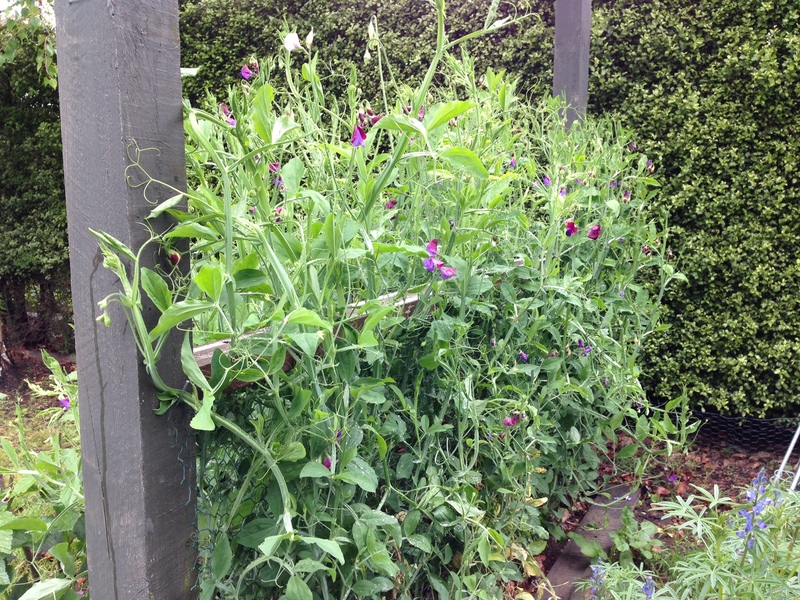 Snow peas and sweet peas sown in April are now nearly over but have been prolific and rewarded daily picking. 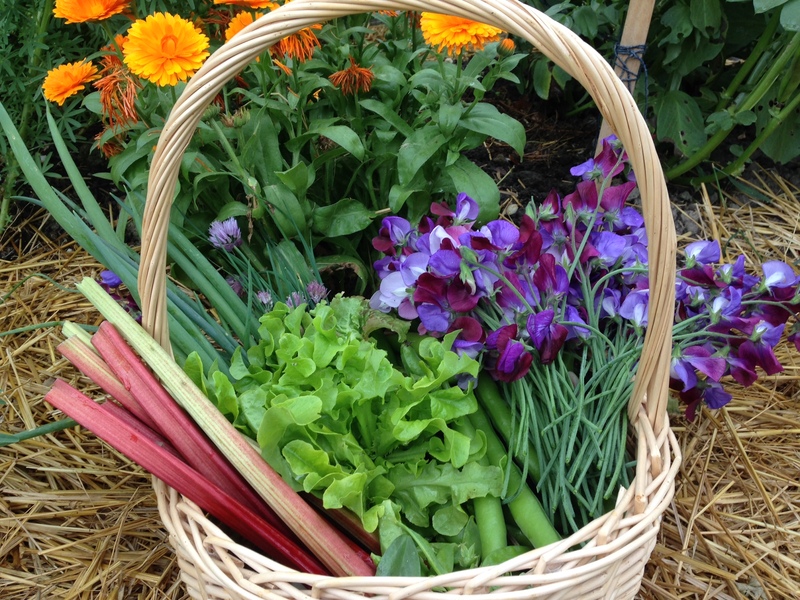 They also fix nitrogen in the soil, as do broad beans which I grow primarily as a ‘compost crop’ – to provide ingredients for compost. 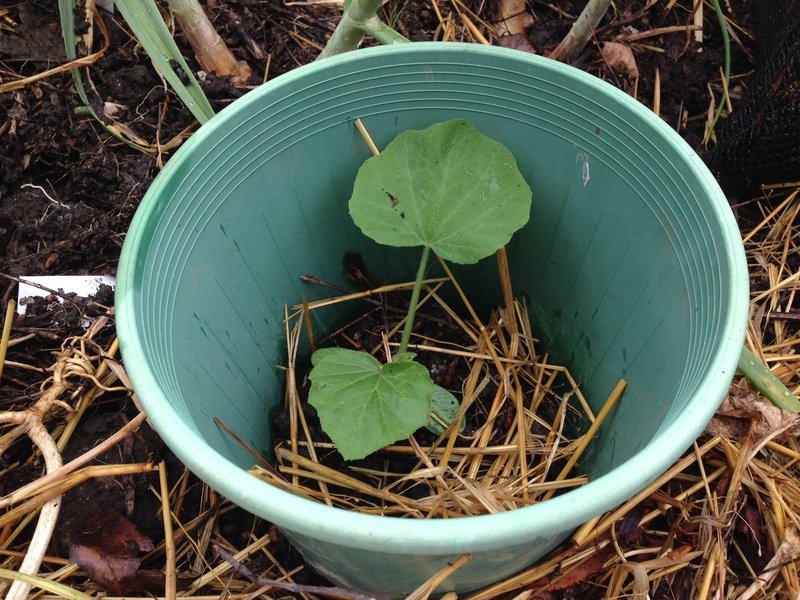 The Koanga Institute ‘beginner gardener’ booklet shares lots of information about compost crops. Don’t be misled by its low cost and the slimness of the volume. It punches way above its weight in terms of wisdom and practicality. You can buy a pdf version but the charts and tables are so informative I think the hard copy is the way to go. You can buy it combined with the ‘200 metre squared urban garden‘ to justify the cost of the stamp. 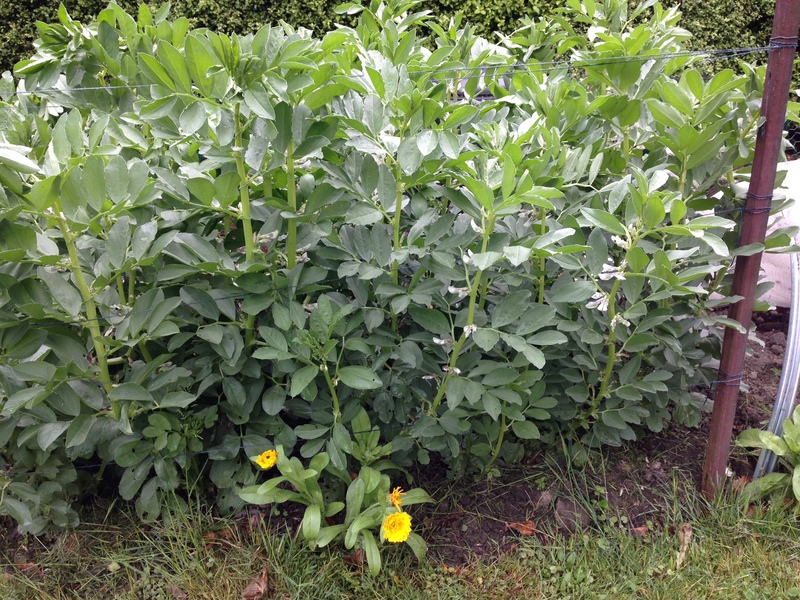 Broad beans are delicious if you pick them when small and tender. I’ve made lemony broad bean and feta dip and used them in stir fries and as an alternative to cannellini beans in paella. I always like to have some pesto in the fridge. This time I made a coriander and walnut version which made enough to put a spare pottle to put in the freezer. 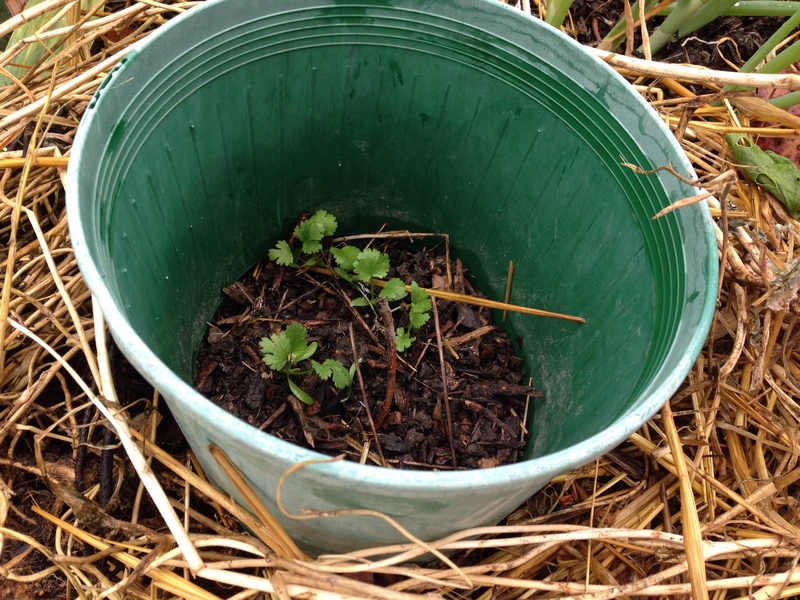 Coriander quickly goes to seed in summer so we need to keep sowing it if we want to have enough young leaves. 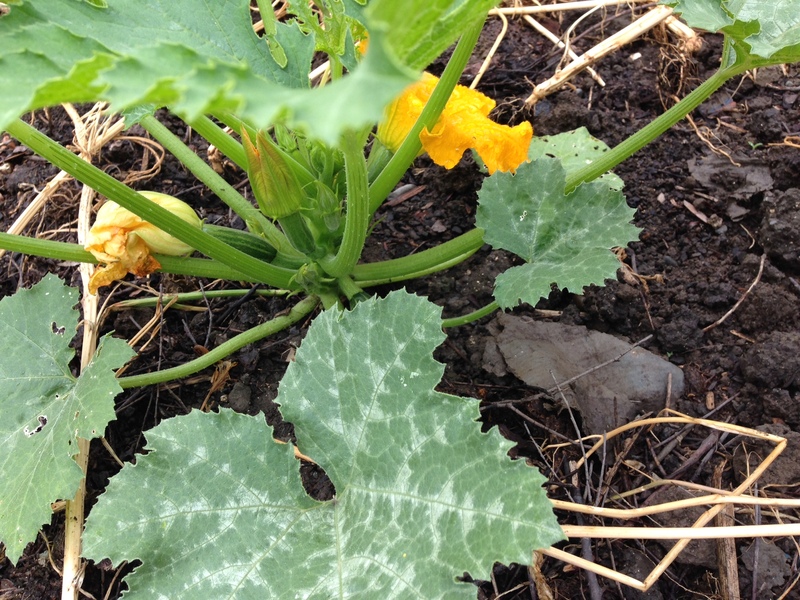 I’ve moved my bottomless pots from my zucchini plants to protect my butternut squash, coriander and basil seedlings. 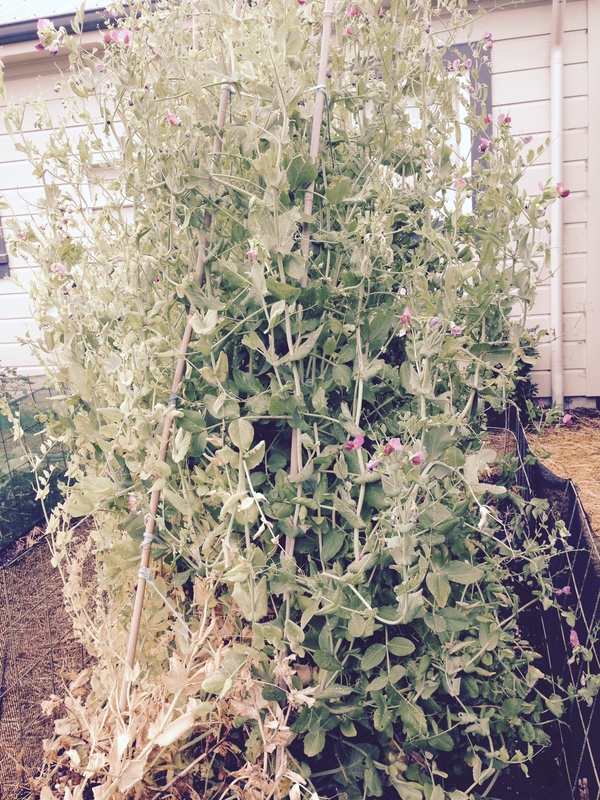 It keeps them sheltered and shaded while they get established and protects them from birds scratching for worms. I’m using a layer of coffee grounds to protect lettuce seedlings from slugs and it’s working really well. 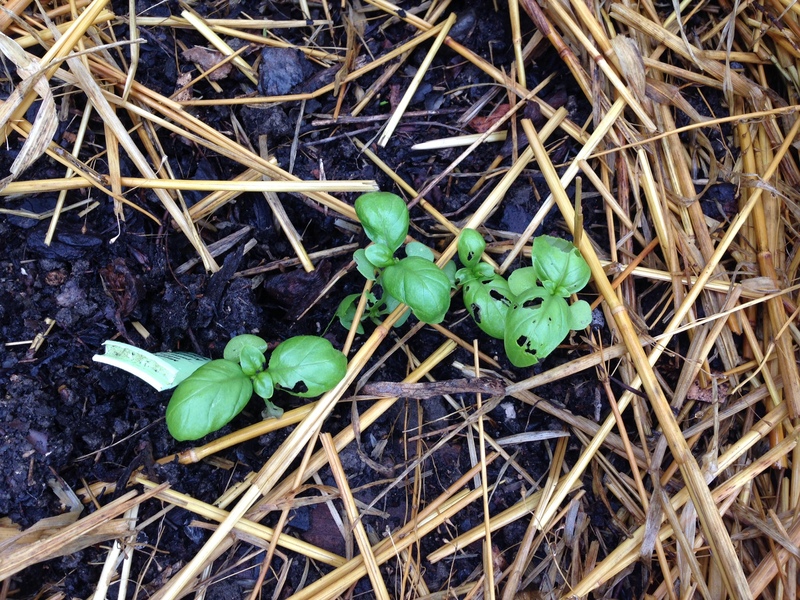 I will need some more for the basil as they love that too. 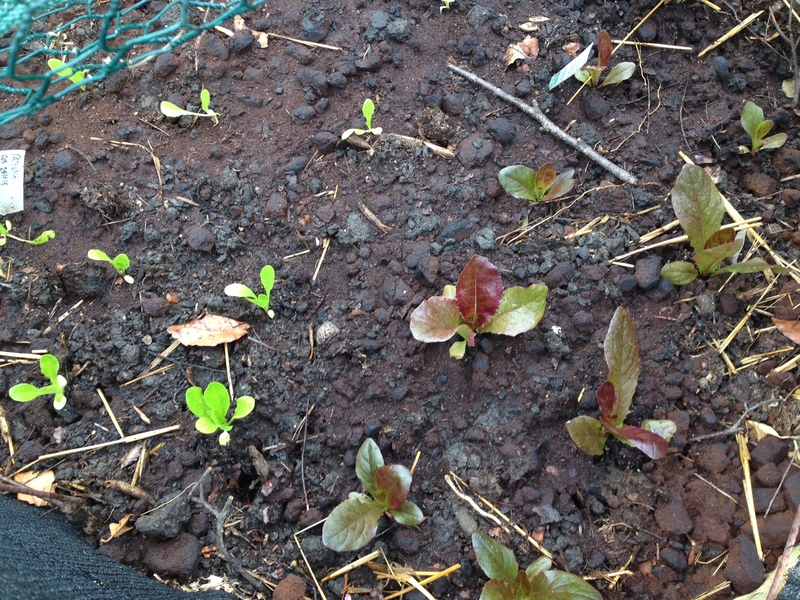 Some ‘little gem’ lettuce I sowed in a half wine-barrel have germinated in just a few days. 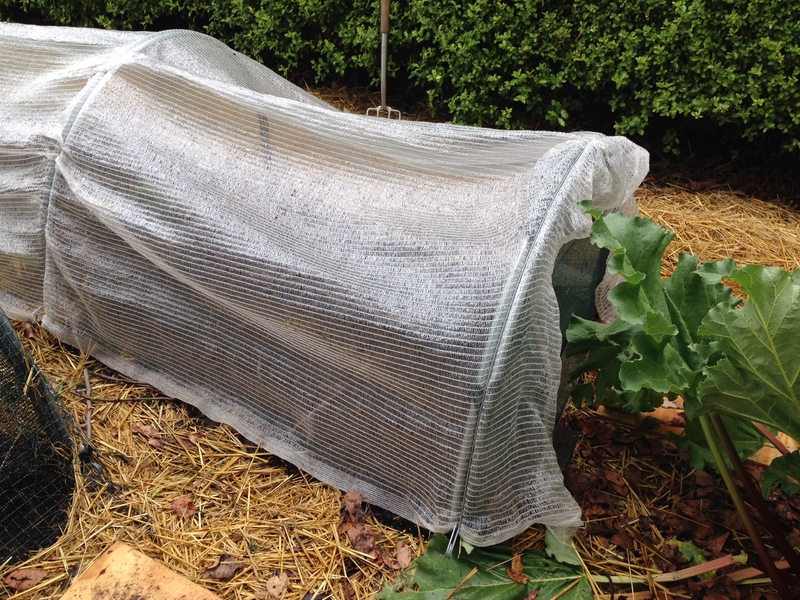 Depending on location, lettuce seedlings have a covering of shade cloth to protect them from the summer heat. 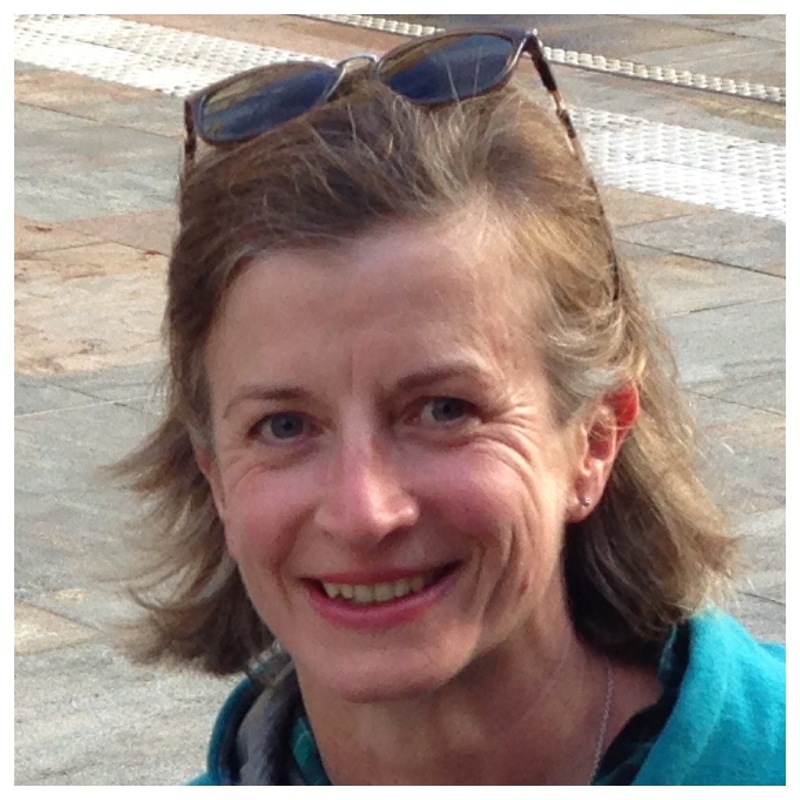 I use the same over a couple of hoops from Otaki Hydroponics (a great source of Christmas gifts for any gardener) for my newly sown carrot, beetroot and radish. They’ve germinated really well in the warm weather. 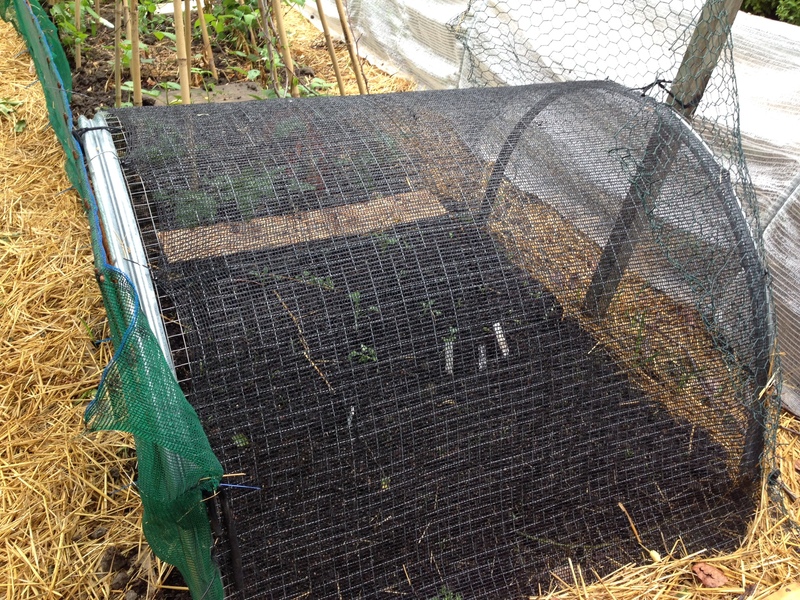 I’m also continuing to use my frost cloth over hoops to protect a 10m x 1m bed from sun, wind, rabbits and birds. 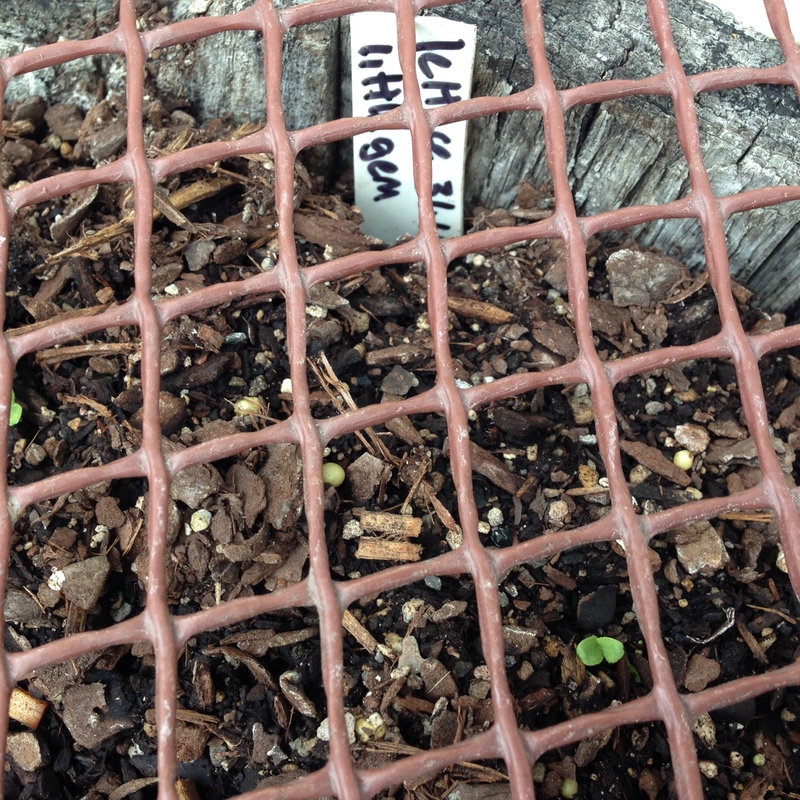 The mesh will have to come off soon as the tallest sunflower seedlings (also a compost crop) are touching the top now. It’s also shading some mesclun and spinach seeds sown direct in the soil, rather than transplanted from pots. 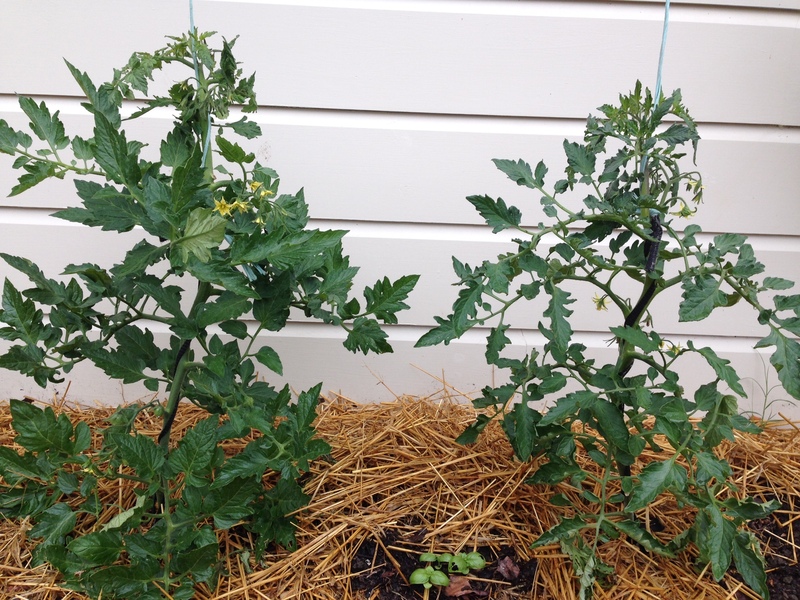 Vertical growing makes sense for tomatoes and cucumbers. As they grow, I pinch out side shoots and wrap the tomato plant stems around baling twine suspended from the eaves of the garage. 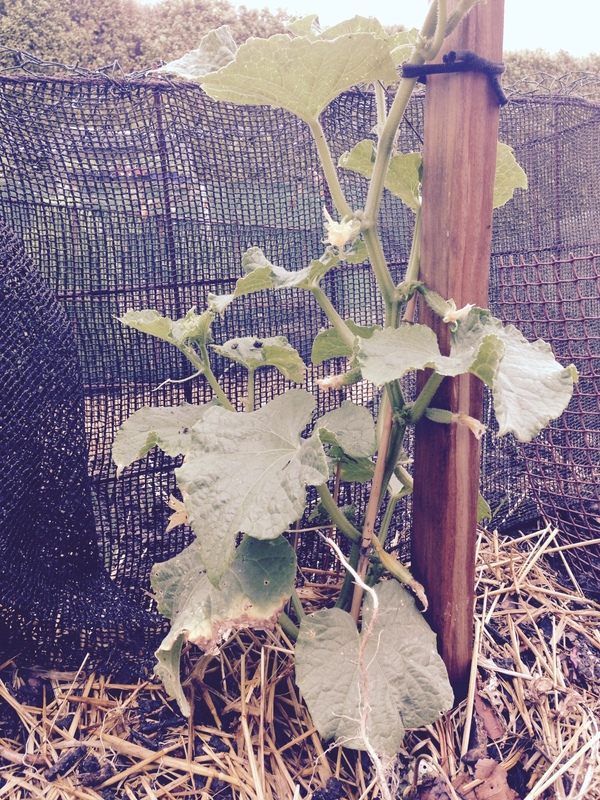 The cucumber is tied to a garden stake currently but will need something taller as it grows. My Morsbag project continues to grow using fabric remnants and pillowcases to save the planet one bag at a time.